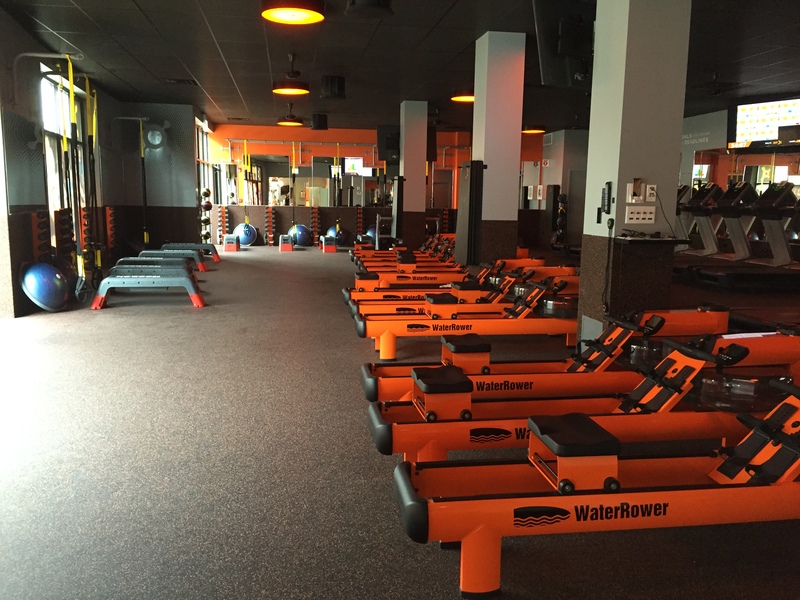 Class Review: Walking into Orange Theory I had no idea what I was in for. The website claims you can burn between 500-1000 calories a session so I knew it had to be intense but when I asked the girl at the front desk if I was going to die she smiled confidently at me and said “No, you are not going to die.” And so I proceeded to strap the heart rate monitor to my chest. You tell the studio your weight and wear the monitor so that that you can track your progress both on the screen and class to class. The workout is filled with strength, cardio, and circuit training. If you have read any of my reviews before you know I am (as Lindsey calls me) “allergic to running.” Luckily the blocks of time in this class are only five minutes each. The class began on the treadmill. You pick your “base pace,” a speed that you are comfortable at, and the intervals switch between your base, a push, and an all out sprint. If you really prefer not to run, the instructor also tells you inclines to switch to if you would like to take the treadmill portion at a speed walk. 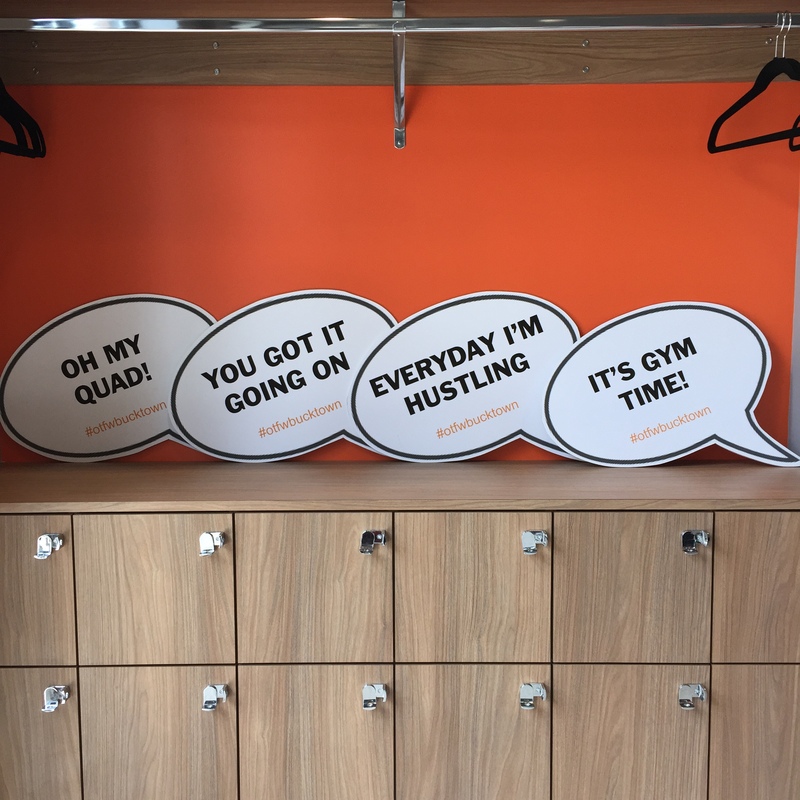 The floor sessions combine all different moves such as presses, squats, lunges and a rowing machine. Each time on the floor contains a different set of exercises and you repeat the circuit as many times as you can in the allotted five minute block. The moves are shown on a screen as a reference so you can remember how many reps to do and what the move looks like. At the end of the hour you are completely worked out and feel very accomplished. I love that you can track the amount of calories you are burning on a screen and how hard you are working while doing it. If it is your first time, the instructor explains what the break down of the different numbers mean at the end of the class. In my first workout I burned 671 calories! Instructor Review: James is a great instructor. He is friendly and motivating and I always like when an instructor takes you through full stretch after a workout. He also keeps an eye on you to make sure your form is on point. At the end of the class he will thoroughly explain what the different stats are and what you should work on. Extras: The gym is very clean and there are lockers to store your belongings. The gym will provide you with a heart monitor if you do not have your own. After each class your stats are emailed to you so that you can track your progress. More studios will be opening up soon! I signed up for a month long membership at this gym so I will be writing up another post at the end of the month to report on the progress I made!